Exciting recipes for December are ahead and month three of FFwD looks to be a delicious one, so stick around! Yum! Now I want some of those potatoes! Great post and pretty plate! Just beautiful, Jessica! I want that plate. 🙂 I really like that you put the source for the recipe. These were sooooo good. Have made them 2 x already since posted for FFwD. 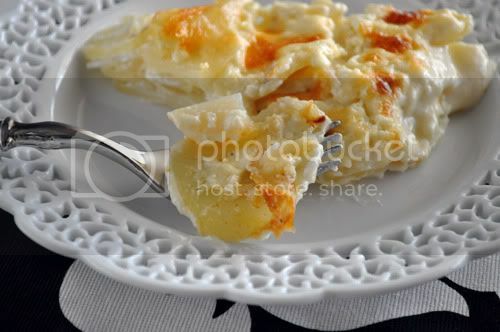 Love the plate of beautiful pommes dauphinois . I think I have made them three times in November… I absolutely agree about shredding cheese on each layer. I started doing this with my second batch and it made a huge difference. adding cheese to each layer is a good idea–I’m going to remember that for next time. Beautiful pommes! I loved this recipe, too. I want to make it again soon. Maybe tonight! So pretty! We absolutely loved these in my house. So much, I agree…no more boxed ones! Making these for a party tomorrow too! Your idea of layering it with cheese is awesome! Im going to do that next time I make it!! I’ve decided to just post a monthly round up of FFWD. 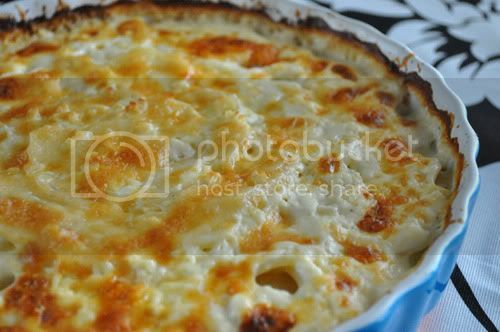 Your gratin is beautiful! Love the lacy plate too! Yours looks particularly wonderful and delicious! I think adding the cheese to each layer was genius – I believe that this would have lifted the dish from a little bland for me to really, really good. 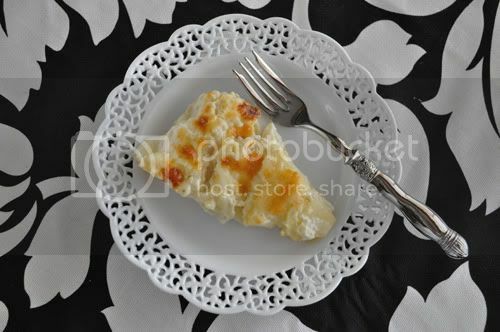 You have asuch a lovely colour on your potatoes, and I am glad that you enjoyed this dish. This recipe has been taunting all month as it’s been posted various weeks by the FFwD crew 🙂 I know it’d be a huge hit here so I don’t know what I’m waiting for… Yours is gorgeous! This was yummy, I agree. Is that an Emile Henry dish I spy in that first photo? 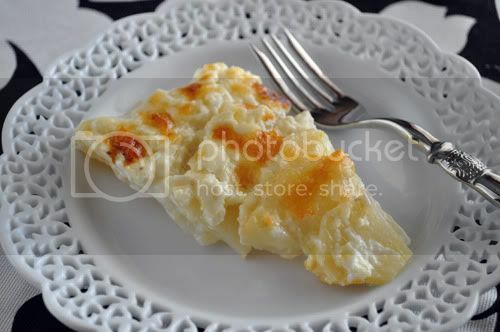 Yours looks so very cheesy and yummy! Next time, I’m definitely going to put cheese between the layers like you did, instead of just on top. Jessica! Your gratin is gorgeous. You win best photos for this dish! And I love your idea of adding cheese to each layer. That’s what I’ll do next time. Oh my gosh, these look heavenly! You have sealed the deal, I am definitely adding this cookbook to my Christmas list now! You can’t go wrong with taters but yours look extra delicious.